Just another random post I’d like to share. Here is an example of what I buy from Family Mart in the beginning of my working day. It usually consists of some drink, caffeine in certain form (coffee/red bull), healthy? snacks, and sometimes lunch. On this particular day, I had to attend some presentation during lunch time so I did not have time to go out. 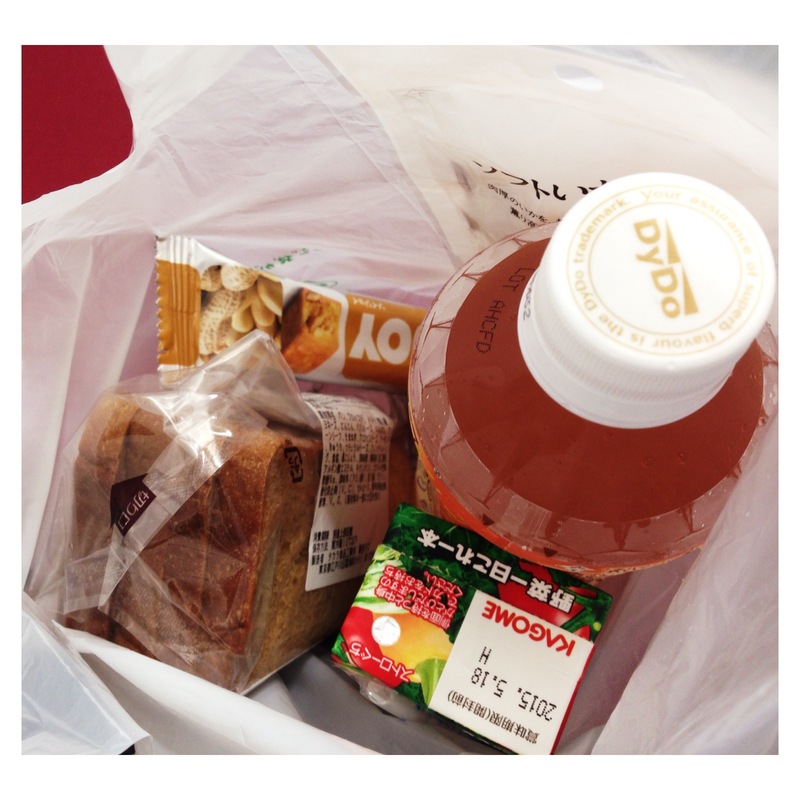 I bought new sandwich product from Famima to try, along with Peanuts-flavor Soyjoy, smoked squid, veggies drink, and non-calorie fruity tea. I also bought Kagome veggies drink, just to feel like I’m taking veggies, which is so ironic. haha I don’t fully support people to rely on this kind of drink, but just on the day that you know you won’t have a chance to get a proper serving of salad, this may come in handy. Be sure to get the 100% veggies one and not the one with juice blend. Last is the new sandwich! I was quite excited about this new sandwich from Famima. Why? It’s rye bread with basil/chicken and colorful veggies fillings. The taste is pretty delicious although the chicken is not that substantial. It’s so yummy and flavorful. The texture is good too: you get a crunch from almonds and green beans which goes well with the softer texture of the bread and basil spread. It tastes quite similar to the salad product I wrote about before. 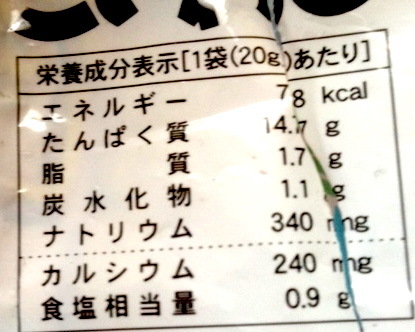 The whole pack is around 350 kcal, so….not too bad I think. However, to be honest, this sandwich though delicious still cannot beat the ones from Starbucks whose both quality and price are higher. Let me know what you bought from your nearest convenience store! I know I haven’t update my posts for a (long) while. It is because I’m back to Bangkok for a while! And….because of my love for combini discovery is very persistent, I roamed into Seven-eleven in Bangkok to figure out how much snacks industry in Thailand has developed. The result: I was fairly impressed with the products though the variety isn’t much many as in Japan (dah!). 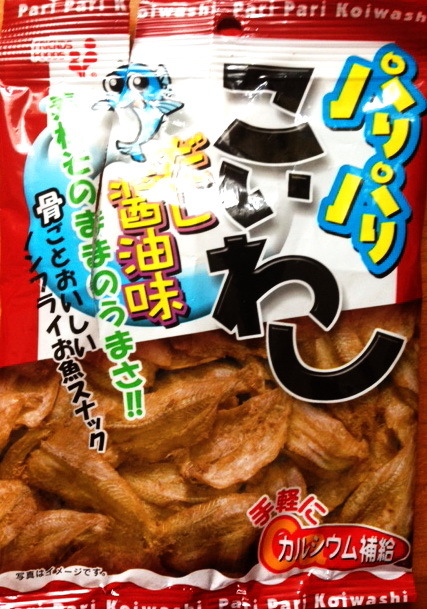 Most snacks I spotted are crispy and packed in small packages, which is a new trend of snacks I saw lately. Before, snacks were sold in relatively larger package, meant to be shared among friends. 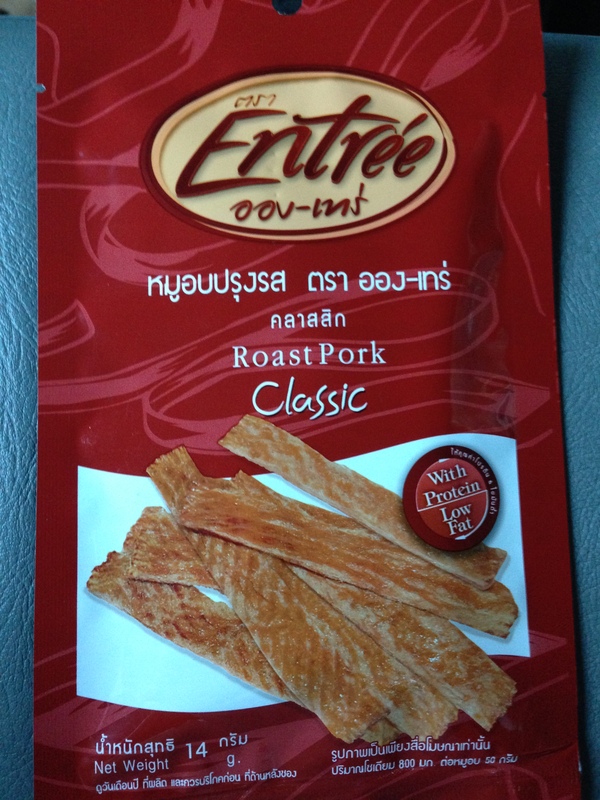 I’m gonna show you 3 snacks that I found very tasty as well as reflect Thai flavors. 3. 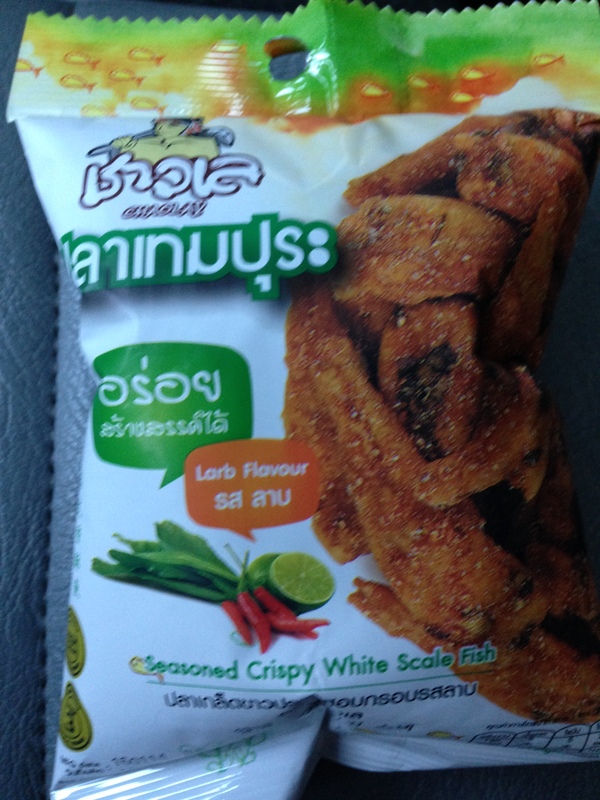 Chao Le’s crispy white-scaled fish in Larb flavor (just as written on the package). If you’re a fan of spicy Thai salad dish called Larb then you might like this as well. Nutritional label: 130 kcal, 5 g. of fat, 12 g. of protein, and 5 g. of sugar. 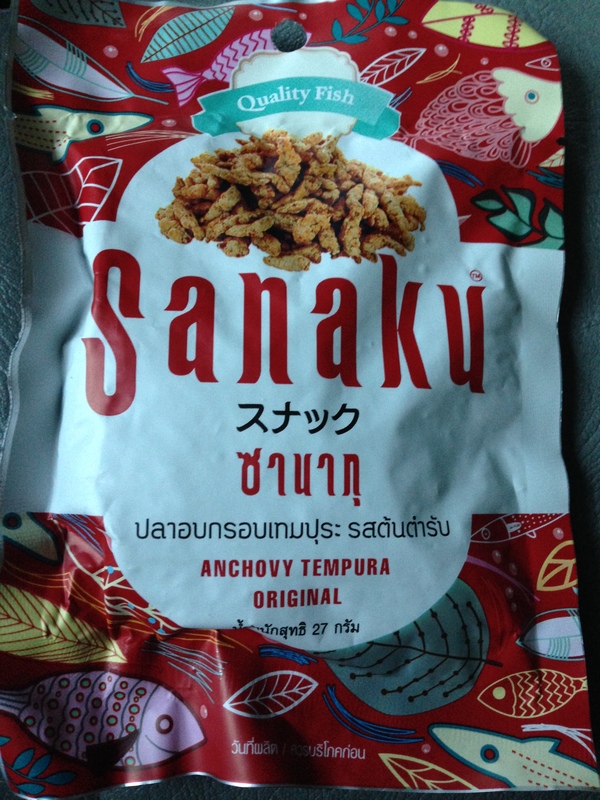 Now…if you happened to be travelling in Bangkok and feel like crunching something in the hot afternoon (as often I do) then try find these alternatives to potato chips in any convenience stores near your stay! I’m sorry for the photo lol I took this after finishing the whole bag. So here’s why I love this snack! – low calories and high protein..78 kcal with a whole lot of 14.7 grams of fiber!!! That’s even more than a whole pack of tofu >< What a great way to increase your daily protein intake! – Bones are also incorporated so, no doubt, it’s high in calcium!